Decorate! We’re talking Christmas lights, fake snow, garlands, wreaths, blow-up Santas, everything! Welcome consumers to your business by drawing them in with your dedication to the holidays. Prove that you’re ready for the busy holiday season! There’s nothing wrong with spreading some holiday cheer. 2. Use slow periods to your benefit. On slower days or slow times during busy days, use the lull in activity to get your responsibilities taken care of. Restocking, reorganizing, cleaning, and resting should occur during these periods so that your business is in tip-top shape when it starts to pick up again! 3. Don’t overwork your staff. Yes, this includes yourself. Schedule appropriate breaks and avoid making your employees work more hours than they’re comfortable with. This is a good reason to hire seasonal workers! You’ll have extra sets of hands without sacrificing time to rest and recuperate. Remember that it’s the holidays. Your staff will likely need time off and personal days so they can celebrate with their loved ones. Be understanding! 4. Connect with your customers. 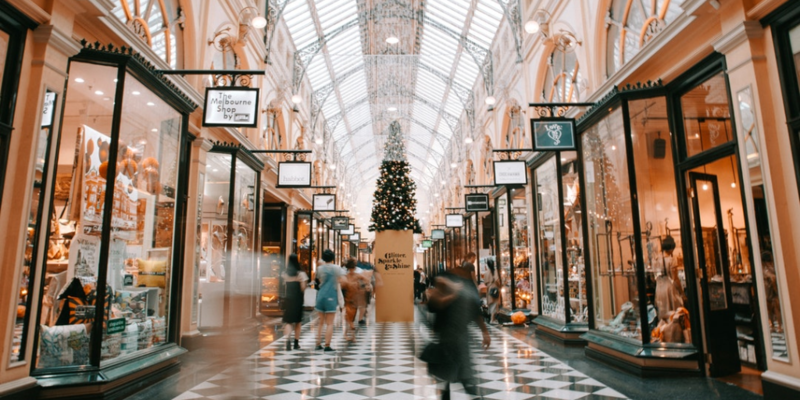 The most important aspect of your business during the entire year, not just the holidays, is the consumers who choose to spend their money on you. The best way to guarantee survival during the holiday season is to give back to your customers. Offering deals, coupons, and gift cards is how you’re going to entice shoppers to your business to spend their money on your products or services. Be competitive! Make your business impossible to ignore with show-stopping doorbusters and impossible-to-pass-up bargains. It’s the season of giving, after all! For holiday seasons to come, remember that it’s better to do your preparations earlier rather than later. In the weeks and months leading up to the busiest time of the year, order extra inventory, interview for seasonal positions, and have a plan for deals and sales to make your business a go-to this winter. Make a list of things you need to accomplish (and check it twice)! Don’t forget the details, either – this includes designing posters, advertisements, gift cards, and other holiday essentials. Take charge and you’ll be fine! This means that if you haven’t already this year, now is a good time to brace yourself for the upcoming holidays of Christmas and New Years by ordering extra inventory and hiring seasonal staff. Make sure you have promotional materials ready to go. Need some extra funding this holiday season? Apply for a business loan.